The Arnhem from Road Holland. 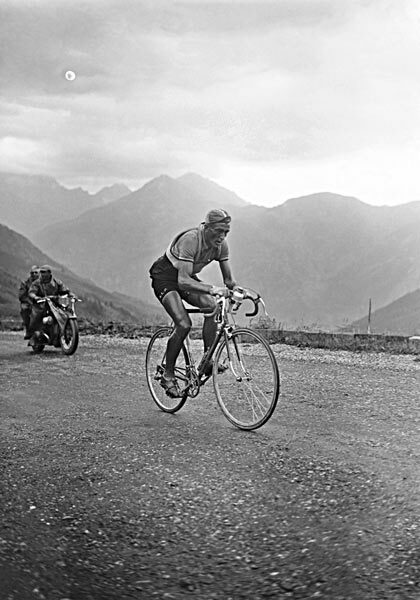 Guy dropped by this morning to have a chat for our next Bikes, Books & Beers Podcast set for next Thursday ... and to pass along something extra special! 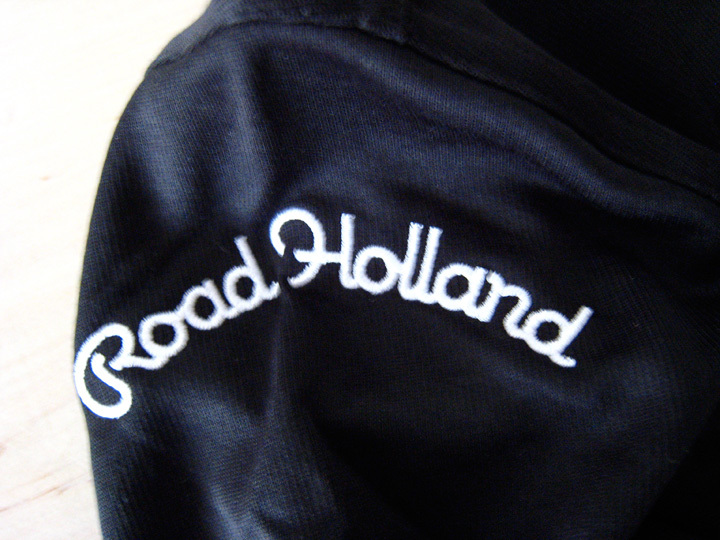 I'm very excited to receive a brand new long sleeve jersey from our newest sponsor, Road Holland. 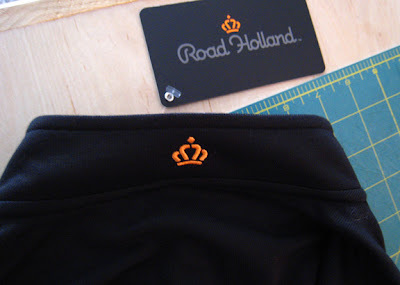 The cycling company is founded by avid cyclist, Jonathan Schneider of Palm Beach Gardens, Florida. 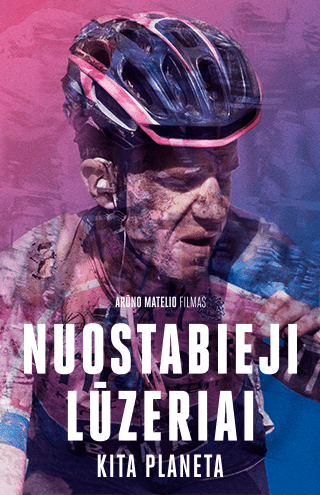 You can buy their cycling jerseys here or just click on the Ad button. 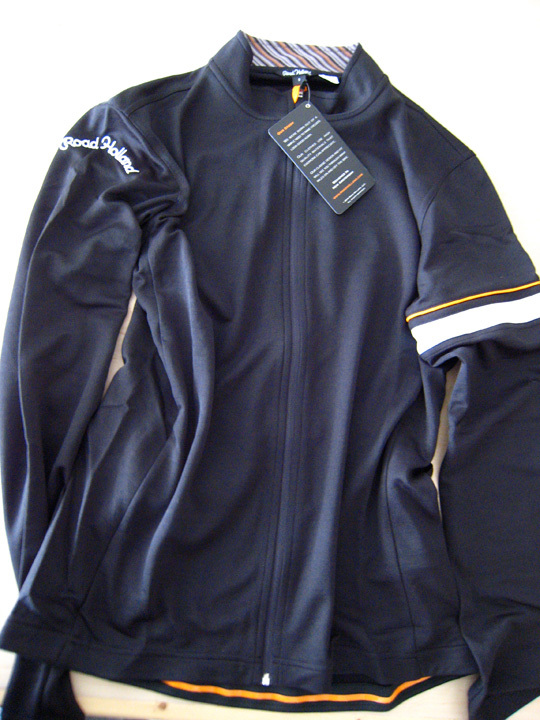 The jersey is light and very well made from; merino wool & polyester. Wear it over a base layer, perfect to ward off a chilly ride. I have the classic road black with 'Road Holland' embroidered on the right shoulder. It's called 'The Arnhem' named after the Dutch city and notably has a striking orange raise piping wrapping around the left arm. Very classy. I haven't seen Guy's short sleeve jersey, yet, but we'll be showing both of them on our Podcast next Thursday. And, very soon we'll take them on a road test to see how they perform complete with pictures for an upcoming post. 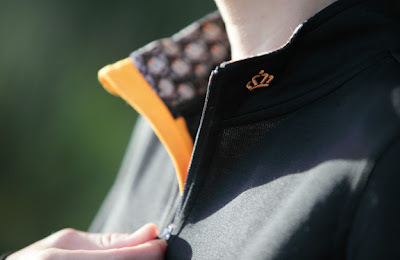 This is a cycling jersey made with the cyclist in mind. Fitting comfortably not too tight, with a full length zipper, and plenty of rear pockets. There's a very clever rear zipper pocket for valuables, too. One of the better made cycling jerseys I have the pleasure to own! Very nice Rich, Look forward to the review. a teaser... It sure feels good on! 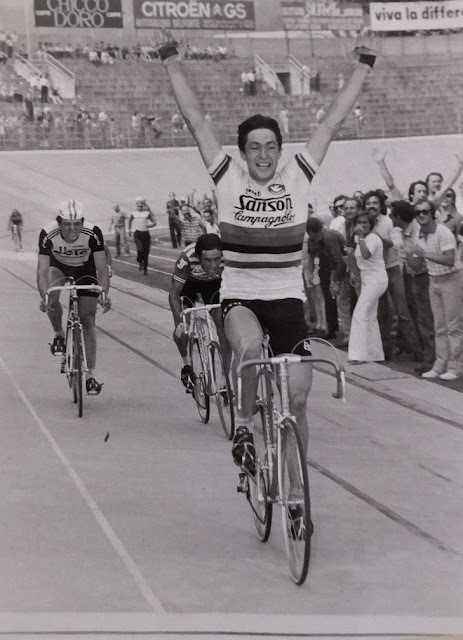 somebody tried to copy Rapha? I can say the long sleeve top is very nicely made and fits well, I love it!